Book now and pay just a 10% deposit! Looking for ideal family accommodation in Cornwall? We have plenty to choose from. Portscatho is a pretty village set around a traditional harbour retaining its true Cornish character. A great location for holidaymakers with many good facilities. 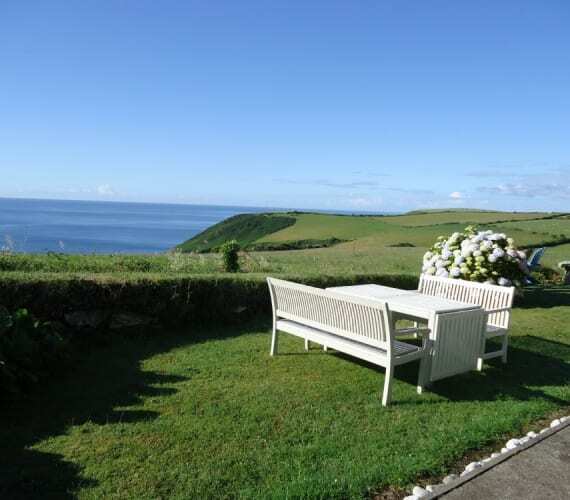 Choose one of our Roseland holiday cottages on The Roseland Peninsula in Cornwall. It is a true holiday heaven with winding country lanes and lush countryside. Portscatho Holidays in St Mawes, offers one of the largest selection of holiday cottages in South Cornwall. Set on the beautiful Roseland Peninsula, we have a choice of waterside residences, contemporary homes and traditional country cottages. Our holiday cottages in Cornwall are situated in the best coastal, rural and waterside locations from St Mawes through to Mevagissey. A holiday home is a great way to enjoy your holiday time in Cornwall - your own space to relax into with no time constraints. Every year our guests return to enjoy the best of our holiday cottages in South Cornwall, the glorious sandy beaches around Portscatho, fabulous sea views, sailing in the Carrick Roads, walks along the South West Coast path, beautiful springtime gardens, log fires in village pubs and great Cornish food. We have choice for everyone, from couples looking for somewhere tranquil for a short break away, to dog friendly cottages and family friendly accommodation that bring the whole family together for a special holiday. Our professional and personal service is on offer to help you find your perfect cottage on the Roseland. Enjoy a great self catering holiday in St Mawes, Portscatho and throughout the Roseland, Cornwall with our selection of south Cornwall holiday cottages.